Patton Towers is seen on Wednesday, April 11, 2018, in Chattanooga, Tenn.
Patton Towers is seen from the Edney Building on Wednesday, April 11, 2018 in Chattanooga, Tenn. 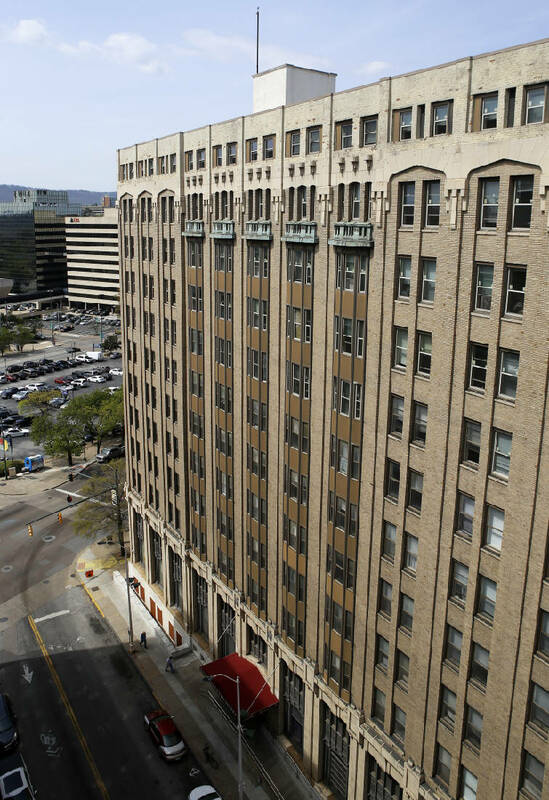 In the heart of Chattanooga's innovation district, an historic high-rise apartment complex has a new owner who plans to both improve the structure and preserve it for affordable housing for low-income, senior and physically or mentally challenged tenants. A San Francisco-based housing investment company bought the 110-year-old Patten Towers for $14.2 million this month and is preparing to spend millions of dollars to renovate the 11-story former hotel. "We plan to keep the Patten Towers as an apartment complex with affordable housing (under HUD income guidelines) , but we also believe that just because apartments are affordable, they shouldn't be any less than the other properties that are being redeveloped and enhanced in this area," said Louis Harrison, a partner in Belveron Real Estate Partners LLC, which acquired Patten Towers on July 9. "When we are done, we will end up with a property that is safer, cleaner and better. Everything about that property will feel different as we complete this rehabilitation work." * Opened as the Hotel Patten in 1908 and included 251 rooms, a billiard room, a bowling alley, a barbershop, a main dining room, a ballroom and orchestra room, men’s café, a bar and a kitchen. The initial hotel rate was $1.50 a night. * The Hotel Patten housed Teamsters President Jimmy Hoffa during his 1964 federal trial in Chattanooga and evangelist Billy Graham during his 1953 crusade in Chattanooga. Three presidents — William Howard Taft, Warren G. Harding and John F. Kennedy — stayed or spoke at the Hotel Patten before it was ultimately converted into apartments. 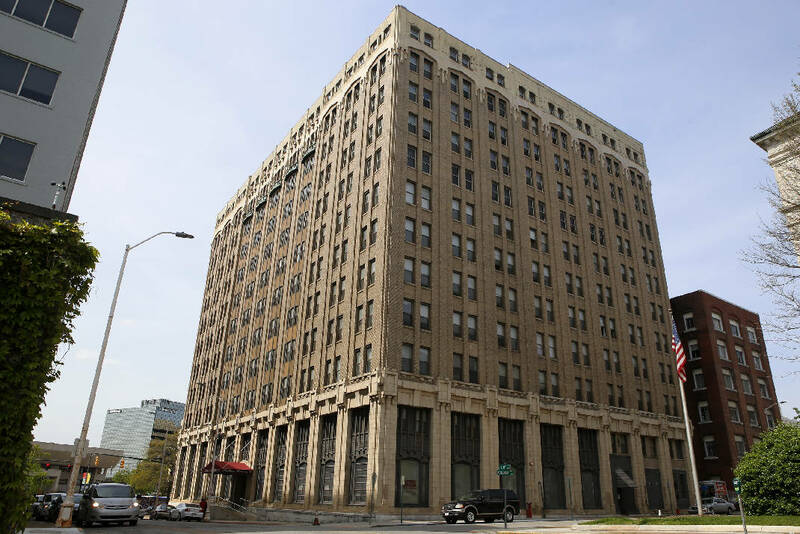 * Belveren Real Estate Partners bought the Patten Towers for $14.2 million, or $72 per square foot, with plans to spend several million dollars on improvements. * The building is located along 11th Street at the intersection of Market Street — directly across from the hub of the Innovation District in the Edney Building — and was originally built on a large limestone outcropping owned by the Stone Fort Land Co.
Belveron was founded in 2006 and owns more than 200 properties in 32 states, most of which offer affordable rental rates and are historic like Patten Towers. "We come in with the money to fix any immediate deferred maintenance requirements and over the course of our ownership we anticipate doing significant rehabilitation of the entirety of the property." Harrison said. "We have a lot of pride in keeping affordable housing available in urban areas where that is often becoming increasingly scarce." The new owners paid nearly twice as much to buy Patten Towers as the $7.5 million purchase price for the building six years ago by the former owners, a real estate limited partnership based in Sherman Oaks, Calif. The former owners made major investments in the complex after an electrical fire in 2013 damaged the building and forced the evacuation of all 241 residents, many of whom has special needs. Belveron is working with a Nashville-based real estate company, Elmington Capital Group, to make more upgrades of the 221-unit apartment complex and to improve its management. Elmington, which is also building a $17 million, 174-unit apartment complex with affordable units near Finley Stadium known as Chestnut Flats, filed a request this spring with the Chattanooga Health, Educational and Health Facilities board to issue up to $25 million of tax-exempt bonds for Patten Towers. The bonds would be used for the purchase and upgrade of Patten Towers. Harrison said that request has been pushed back until 2019, but improvements should begin to be made shortly at Patten Towers. The availability of low-cost, tax-exempt loans and potential property tax breaks on the building are key to preserving the quality of historic buildings in urban areas while keeping rental rates within the government's guidelines for affordable housing, Harrison said. Erected in 1908 at the corner of Market and East 11th streets, the Hotel Patten was Chattanooga's first skyscraper and has housed three presidents before and after they were elected — President William Howard Taft in 1911, Warren G. Harding in 1920 and John F. Kennedy in 1953, who spoke to the Rotary Club when he was still a Massachusetts senator. The hotel was later converted to an apartment complex, and currently, the 196,500-square-foot structure houses hundreds of low- to moderate-income residents. Chattanooga Mayor Andy Berke worked to find alternative housing for Patten Towers tenants after the 2013 fire. The mayor also urged the building owners to maintain affordable housing at the core of the Innovation District he established in 2015 and to upgrade the aging facility to provide a safe and attractive downtown housing options for low and moderate-income Chattanoogans. Donna Williams, administrator of the city's Office of Economic and Community Development, called the plans by the new owners to upgrade the building and maintain long term its affordable housing designation "fantastic" and "an important part of our downtown. "We need to ensure that we have affordable housing in the core of our city," she said. A list of improvements planned by the new owners of Patten Towers includes new appliances, countertops, doors and bathroom fixtures within each apartment along with repainting the building walls, repairing boilers and air conditioners and upgrading glass windows, pipes, doors and other amenities. A ground-floor convenience store known as Bingo's Market opened last year to provide healthier food options for residents of Patten Towers and others working and living downtown. The grocery outlet was backed and seeded with funding from Chattanooga's Co.Lab across the street and Causeway housed a few blocks away, but it ultimately shut down in June. Harrison said his group hopes to work to provide some retail offerings in the building. Ken Hays, who heads Chattanooga's Enterprise Center in the Edney Building directly across 11th Street from Patten Towers, said leaders of the Innovation District want affordable housing in the area to preserve the mixed, urban character of Chattanooga's downtown. Within the Innovation District — 140 downtown acres where entrepreneurs, tech-based startups, and business incubators are creating a so-called innovation ecosystem — Berke said affordable housing is vital. The district is "not just for tech entrepreneurs," Berke said earlier this year. "It's for our entire community."